John Le Carre gave a rousing talk and answered questions at the Royal Festival Hall, London. Spybrary Podcast was there and we bring you this first ever field report. 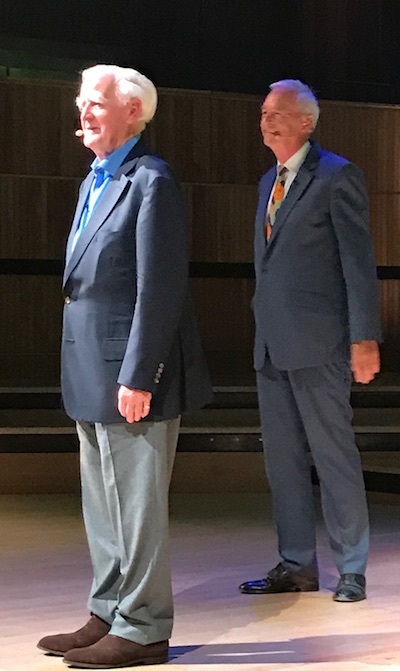 John Le Carre at the Royal Festival Hall London -yes Spybrary Host Shane Whaley took this photo from the front row. Photography was forbidden so excuse the poor quality as it was a rushed shot! 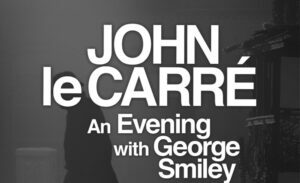 Billed as ‘An Evening with George Smiley‘ John Le Carre packed out the Royal Festival Hall and his talk was beamed live to many cinemas across the UK and Europe. ‘In this one-off event, the author discussed the full breadth of his career, and reflected on the continuing story of his most famous creation, German literature loving bespectacled spy, George Smiley. This is the first ever field report on Spybrary, the audio may be lacking in places as I get to grip with my recording gadgets. As far as I can tell these were the only interviews (certainly on a podcast) from the John Le Carre event at Royal Festival Hotel so please enjoy and remember Spybrary is by spy fans for spy fans! 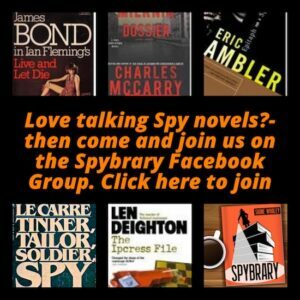 If you love talking about spy books and movie, join in the discussion over at our private Facebook Group.